During my sophomore year of college, I took a semester-long course that changed my life. It was a writing class, geared to help us improve our expository writing skills while exploring a social issue in depth. We had dozens of topics to choose from – Environment and Ethics, Diversity and Racial Conflict, Immigrant America, etc. We had to choose our topic carefully, since this would be a subject that we’d be writing no less than 20 term papers about. I chose a course called The Holocaust. Why? I can’t really explain; it was a gut feeling. I needed to learn more about this tragedy of unimaginable proportions. The class had a profound impact on me. I left the course with one resounding message written on my heart – never forget. Even today, there is unimaginable suffering and genocide happening in our world. It is our responsibility as humans to keep the memory of the Holocaust alive, to ensure that we do not allow it to happen again. When we talk about the Holocaust, the last thing that comes to mind is cooking—in fact, it seems strange to associate cookbook recipes with such a tremendous tragedy. And yet, there are several incredible cookbooks and compilations of recipes written by Holocaust survivors. Recipes are a way of keeping family history alive—they’re a tangible reminder of family, home, comfort, and security. Entire families were lost in the concentration camps, leaving survivors to push forward alone in the world, clinging to only memories of their loved ones. One way to keep those memories alive is to recreate their recipes, to share them and in that way remember their spirit. The Holocaust Survivor Cookbook strives to keep those memories alive. It’s a compilation of heartbreaking survivor stories that put faces and names to the victims of the Holocaust. It also includes several authentic recipes from survivors and their families. I discovered this book last year, and I treasure it. In full disclosure—because this is, after all, a cooking blog—the Holocaust Survivor Cookbook isn’t the most reliable source for foolproof recipes. Because the book features personal family recipes, some are not written very clearly. Several of the recipes list ingredients that are missing in the instructions, leaving you to guess where and when you should add them. That said, I still recommend that you buy this book–not only for the food, but for the history. It is filled with true, personal stories of survival during one of the darkest periods in human history. In addition, there are some wonderful recipes that are worth the price of the book itself. Rena was born in Prevesa Greece in 1915. Prevesa was a small Jewish community a few hours from Athens. Her father Solomon was a prosperous textile merchant and her mother Simcha stayed home and raised their five children. In 1943 the Germans invaded their town and arrested all of the Jews. The entire Gani family was sent to the Birkenau/Auschwitz concentration camp where the parents were immediately sent to the gas chambers. Rena and her sister Ellie were sent to the women’s camp, while her three brothers went to the men’s camp. The three young men fought valiantly in an uprising at the men’s camp but were killed… Rena and Ellie survived the women’s camp, and were liberated by the Americans in 1945. They returned to Greece where nothing remained of their once happy family. …Soon Rena moved to Athens where she met and married tall handsome Daniel Carasso, known to his friends as Nico. Since both Rena and Nico had lost most of their friends and relatives in the Holocaust their wedding was small, but still filled with the hope and promise of the future. In 1951 Rena, Daniel, and their little daughter Jeanette came to America. Their family is honored on the Wall of Honor at Ellis Island. 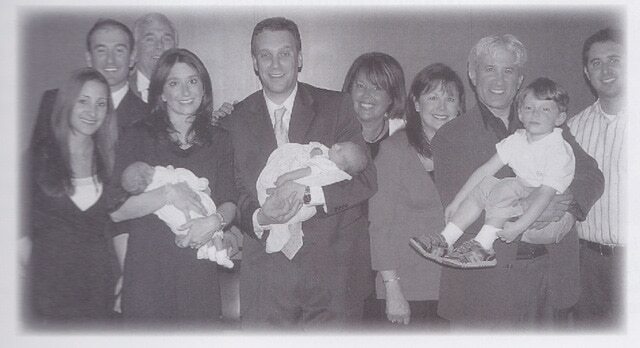 They later had another daughter Eileen and five beautiful grandchildren. 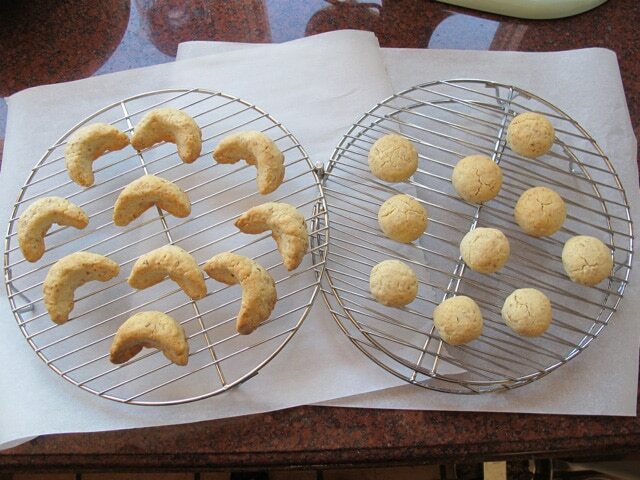 This recipe for Rena Carasso’s Greek Butter Cookies, known as Kourabiedes, was submitted to the cookbook by her daughters Jeannette Katzen and Eileen Metzger. They are a delicious tribute to Rena and her family. I have made one small modification to this recipe. The cookie dough did not have enough sweetness for me (and I’m not a big fan of sweet), so I went ahead and increased the powdered sugar in the dough to 1 cup. 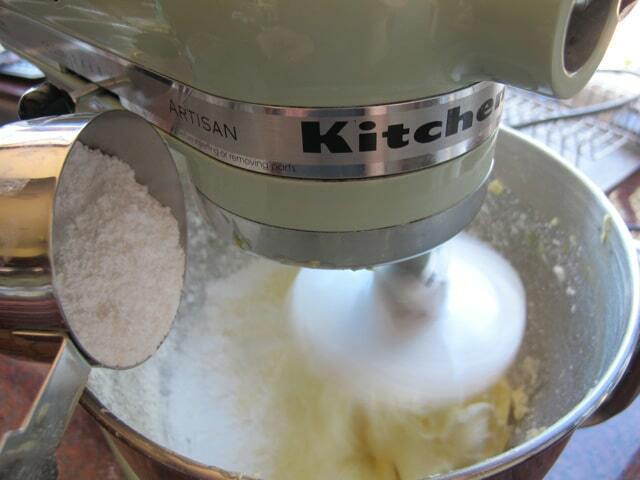 The original recipe calls for ½ cup of sugar in the dough (separate from the 2 cups of dusting sugar). You can add even more sugar to the dough for sweetness if you want, it will not change the dough’s texture. 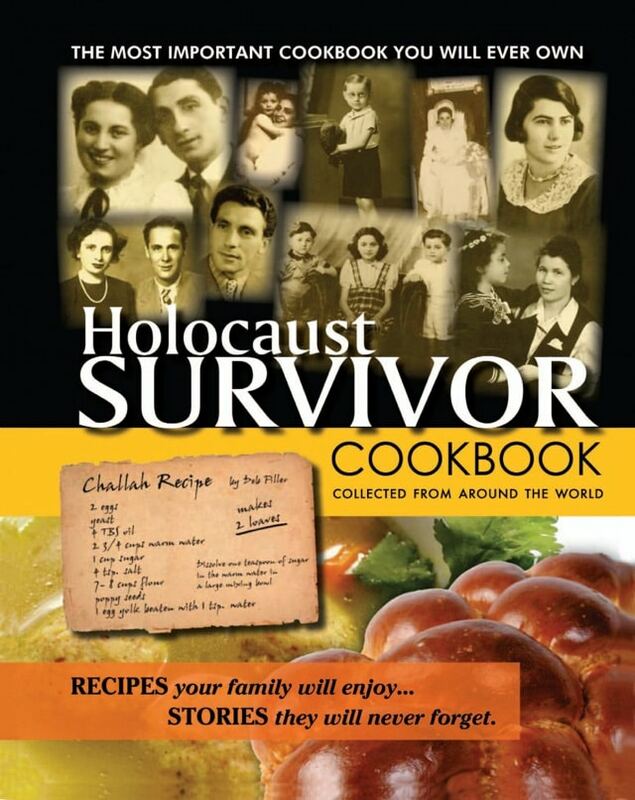 To purchase your own copy of the Holocaust Survivor Cookbook, click here. Proceeds benefit the Carmei Ha’ir Soup Kitchen, which serves over 500 meals every day to the poor and hungry of Israel. This authentic recipe for Rena Carasso's Kourabiedes, aka Greek Butter Cookies, appears in the Holocaust Survivor Cookbook. Kosher, Dairy. Preheat oven to 350 degrees F. Beat the butter slowly for 15 minutes. I used an electric mixer for this on a medium low speed setting. Slowly add the two egg yolks, 1 cup confectioner’s sugar, vanilla, and a little of the flour. 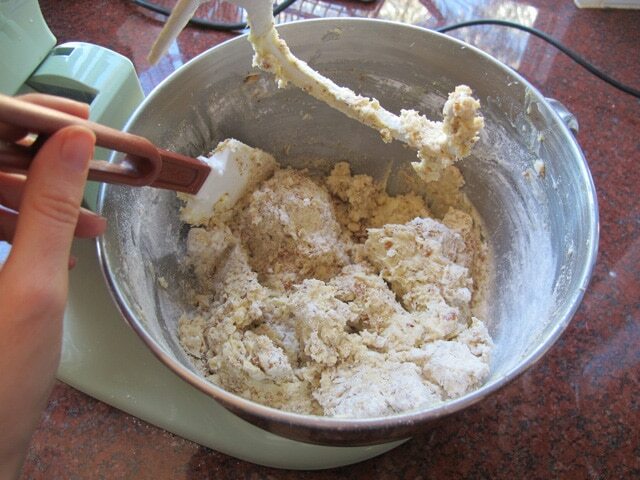 Continue to beat, slowly adding the chopped almonds and more flour, until a soft dough forms. Scrape the sides of the bowl periodically to make sure all ingredients are well mixed. You want the dough to be pliable and easy to form without being too greasy/buttery. 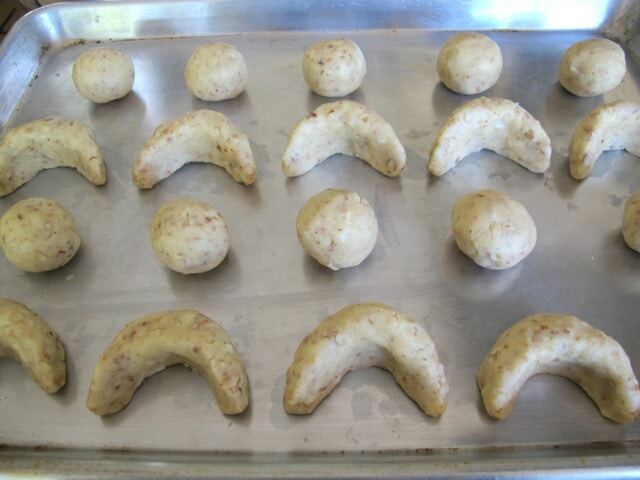 Roll the dough into crescent or round shapes. I used a little less than 2 tbsp of dough per cookie. Bake on ungreased cookie sheet for 15-25 minutes in a 350 degree oven till lightly golden. Remove cookies from the oven. ...then dust with the remaining 2 cups of confectioner’s sugar. According to Rena’s recipe, they need to be generously coated in the sugar, not just a little sprinkle. So don’t be shy with it—powder away! 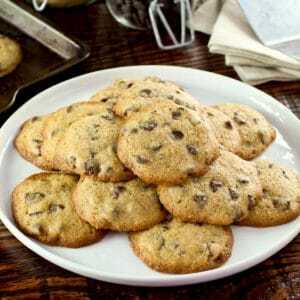 The original recipe indicates that each cookie should be placed in its own “baking cup" prior to serving. I’m not sure exactly what that means, but I did follow the other instruction, which is to serve it with lots of ice cold milk. Yum! I just wanted to thank you so much for such a wonderful recipe for Kourabiedes. My mother would make these from a recipe found in an old Greek cookbook that my father had bought for her when they were first married. He is Greek and my mother is half Greek and so it made sense, because my mother never learned how to cook Greek dishes when she was younger. So, the cookbook was in order. Your recipe is so simple and so delicious and just so easy that I am truly amazed after results. They are light, tasty, flaky where they form part in your mouth and a wonderful treat. I made these for the first time for my Greek father for Christmas and he was so appreciative & was very impressed with the finished product. He will be 95 in January and again, this Christmas I am making them for him as a treat. I must say that when I do make them I have to immediately shut down ground rules in the house here that no one is to touch any of the cookies until I have separated and packed up the ones for my father. My son is in love with these cookies. 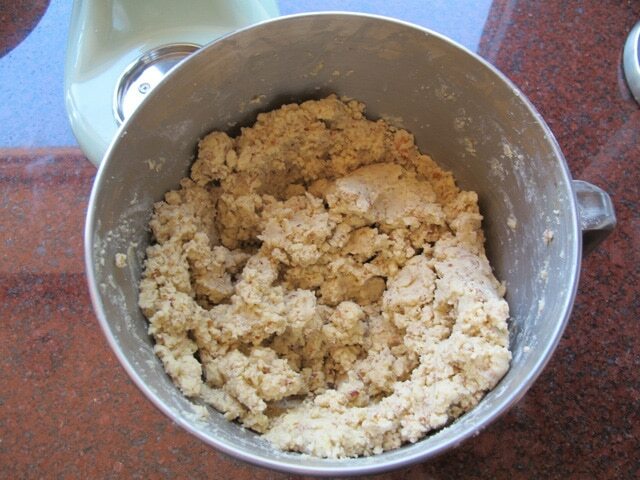 One thing that I do just a little different than what your recipe calls for, is that I add about a half a teaspoon of almond extract and because my father’s teeth are not all that great, I pulverized the almonds leaving just a few small pieces and mix it into the dough that way. Also, instead of using about a tablespoon and a half to make each cookie, I use a measuring spoon in a teaspoon size and roll them into small balls. Cooking them on a cookie sheet lined with parchment in a 350 degree oven they are done at approximately 20 minutes. Of course from there, everything is the same as your recipe calls for. I cool them, then I doused them with powdered sugar. I allow them to sit in the powdered sugar so this way it can fully encapsulate them. Prior to serving oh, that is why I put them into individual cupcake cups or in this case because they’re really bite-size I use mini cupcake cups or paper candy cups. For a little bit of a different taste, but still equally as delicious as your recipe, if you roll them into a ball and then pinch the top of the ball so that there is a tiny peek with small indents surrounding it, you can put one whole clove right at the peak and bake it into the cookie. Of course when it comes out of the oven generally speaking the clove would not be eaten but would remain in the cookie during presentation. It gives a very subtle spiced flavor to the cookie, one that might truly be quite delicious during the winter holiday season when our tastes seem to gravitate towards cinnamon, cloves, and Nutmeg and the like. Tori, thank you again for a wonderful recipe and also for making my 95 year old Greek father a very happy person. These cookies are now a staple in my Christmas cookie repertoire. So nice of you to share your story and tips, thank you Paula! I am Greek and my grandma from Greece never put almonds in her cookies or baking powder or baking soda. They were very simple and delicious. We make them every year and there is not one recipie on here like hers. I even have a Greek cook book from the fifties and no nuts or powders . So now my post comes in 3 years behind all the others…. 😀 My family are Italian, and my grandparents raised their family in a tiny Italian/Greek mining town in Utah. Everything my grandmother and her Greek friend (Amelia and Annie) did or said, was a mixture of Italian or Greek (including the swear words!) These cookies were made JUST LIKE THIS by Annie, but my grandmother would: melt the butter and skim off the stuff that came to the top (I suspect this was extra fat, or salt), and then left the almonds OUT, and put a solid clove dead center. The skimming of the butter would make them literally fall apart, and were so delicate and buttery! But now I don’t skim, as I use the unsalted butter, and they stay together better. I also add a little bit of corn starch to keep them together. I still don’t use the almonds, but I add the sugar in the dough, and sometimes cinnamon, too! I love these! my cookies came out flat after shaping them. when i took out of the oven they were pancakes. Do i need to put more flour? Is it because i had the dough in the refrigerator over night? Hi Peter, Tori’s assistant Ashley here! I’m not sure what went wrong with your recipe if you followed directions carefully. My guess is that it might have been refrigerating the dough overnight, but I can’t say for certain. Cool the dough in the refrigerator for at least half an hour before forming and baking. My large Greek family has these around all the time. No matter who’s house you walk into there’s a tin of cookies that comes out within 30 seconds of ringing the bell. There are two problems with the recipe…it really is 1/2 cup of powdered sugar in the dough…trust me they are about to get really sweet! You fill a container with the remaining sugar and dump the cookies in HOT! They get really coated that way. And you serve them in white cupcake liners so you don’t lose any of the sugar!! 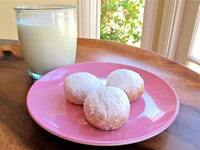 Came across your website on kourabiedes and enjoyed reading the story and history of the cookies of your family. My parents have similar stories of survival in Greece, a country not much talked about when the topic of Halocaust comes up. Food was everything to my parents once in America, because they were so deprived of it during the war years. My mother was not much of a baker, but my Godmother, Olga Bourla, was. She always made such wonderful pastries. My favorite was koulouria, another butter type cookie, not as sweet as the kourabiedes. I have been trying to perfect the koulouria recipe over the years. To make the koulouria healthier, I now use ground almonds and wheat pastry flour for the dough. They are so great with coffee, and every person who has tried them, absolutely loves them and asks me to make them. My parents are also Greek Jews who survived the Holocaust. Like Rena Carrasso, my Mom is from Athens and my Dad was from Thesaloniki, Greece. My Dad passed 21 years ago. My Mom, who lives with me, makes Kourabiades every year around the holidays and I take them to all my co-workers – they just love them! Rena’s recipe is very similar to my Mom’s. Jeanette and Eileen must have watched their Mom make these cookies as I have watched my Mom make them for so many years now….I swear my Mom’s always come out better than mine – it’s something in her light touch with her hands! Thank you so much for honoring the memory of all of our relatives who perished in the Holocaust. Wishing you continued success! It is traditional for Greek sweets like Kourabiedes to be served in the cupcake baking cups. The silver cups hold up better (no seepage through of butter). Makes for a nice presentation too! I had fun as a child helping my mom place them in the cups! (still do!). Thank you for posting a heartfelt story and recipe. Hi Tori; Yes, my compliment was meant for your wonderful instructions and pictures. Nicole was another site and when I put a comment on your site, I mixed you up. Sorry for that. Back in the day, I was a gourmet cook and loved to cook on weekends. No home computers back then. I won several cooking contests and it was fun. I still love to cook & bake. Thanks again. Thanks Tori. I hope my comment didn’t insult Nicole. I hit the 5 stars, but it only showed 3 star comment. Please accept my apologies for whatever happened. I think her pictures of each step were so wonderful. Many recipes are difficult to make without pics. Great thread. Have a nice night. Thank you for all the pictures of each step. That was lots of work for you. Delicious cookies and so easy with your recipe. I just made them. There were too many for me. I put some (12 to a box) in fancy cupcake papers and then into cupcake boxes (that I purchased on sale at t.j. Maxx) and I gave one box to my neighbor (who thoughtfully shovels my snow for all the older neighbors), and one box is ready for the mailman tomorrow. I love to thank my mailman in ways that are different. The boxes are all different, and very colorful. Not sure where else they can be purchased. They actually hold 4 cupcakes. Celephane on top to see what’s inside. Great box for many gifts. (package does claim to be for cupcakes, but not actual boxes) for giving away these cookies. I got 12 cupcake liners (4 per row), every row, I put 1 cookie inside the cupcake liner and repeated twice. Such a nice way to give these cookies as a gift. (I saw where some make these cookies in fancy packaging for wedding favors. Great Idea even if your not Greek. What she meant by each cookie should be placed in it’s own baking cup is to place each cookie in those cupcake liner/baking cups..there are foil ones or the nice assorted color ones..this is how they were always served in my house..then you get to easily grab your cookie with all that powdered sugar! Delicious! I made something similar to this a couple months ago…I substitute some…pistachio instead of almonds, almond extract instead of vanilla extract as I didn’t have these at the time and it was delicious…give this a try. Thanks for the recipe! Very nice and I own the book. Let´s hear it for the Greeks. My favorite recipe is Spanakopita. (Greek Spinach Pie) all our friends and families favorite. Love these cookies. My Mother made them. Sigh. My grandma used to make these…yum! What a beautiful post! Thank you for sharing the recipe and cookbook–I am definitely going to pick up a copy. them over the holidays. I’ve already tried by using gluten free flours, but they really don’t taste good. Thank you for sharing. I plan to purchase the book for my 17 year old daughter. She is currently on a Holocaust Study Tour in Europe with 20 other students and 4 teachers. They are in Prague as we speak. Yesterday, she had the incredible opportunity to visit Teresienstadt concentration camp accompanied by a 92 year old man who is a survivor. What a life changing experience for her. They are also traveling to Berlin, Olomouc, and Krakow. Thank you for sharing this book and the story. I will be sure to buy it for me to enjoy, and to pass on to my son. 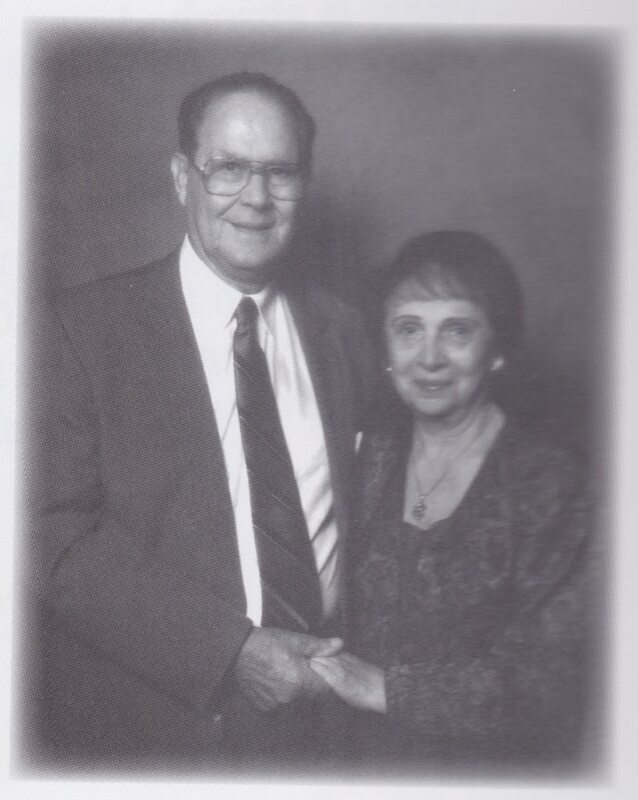 My late parents were the sole survivors of their immediate families, and build a good life in America. Once they arrived they never left, not even to drive the 45 minutes to Tijuana Mexico for lunch. My mom was interviewed for the Shoah Foundation’s project, but my dad refused. Her testimony survives, and even though she is gone it has had a positive impact on people who have viewed my copies. If you know a survivor who has not given their testimony yet, please contact the Shoah Foundation archives at The University of Southern California. If you have not yet been to Yad Vashem, please make it a priority. I visited there, walked the paths and exhibits,, and had a life altering experience. Zachor!!! Thank you for sharing this recipe, story and cookbook! Wow!!! this is the same recipe as my late Bubby, Rachael Leah bas Sarah Rivka, english name Ruth Morris, I wonder if she new or was related to Rena? 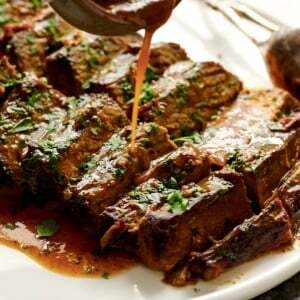 They are amazing when cooked just right…. Awesome, love these cookies! Didn´t know there´s a book you described…and good to know. Thanks for sharing with us! You are such a mensch! I will order that cookbook! what a treasure!!!!!! Thank you for the History, and thank you for the recipe. Just came across you recipe when googling how to make kourabiedes, as my family live back in Cyprus and it seemed easier than a long phone call asking for their recipe 🙂 thank you!just thought I’d add, when I used to help grandma make these as a child she used to get me to brush rose water on them when warm as it soaks it up and gives a wonderful aroma. You may want to try!! Dear Mary Lou, thank you for your kind words. Unfortunately, our Mother passed away in 2002, but my sister and I would love to read it. You can contact me via Facebook, and i will share my email with you. Thank you again. TO TORI – Thank you for posting the story of Rena Gani. I picked up her identification card at the US Holocaust Memorial Museum on 3-3-2012 and wanted to learn more about her. 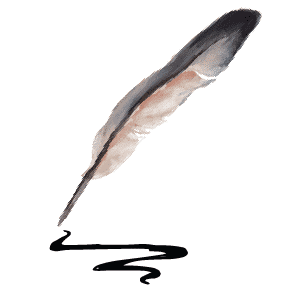 TO JEANETTE – As an assignment I wrote a letter to your mother for the professor to grade. If your mother is still living, may I send it to her? If not, I would like to send it to you and Eileen. It is not part of the assignment, but I wanted her to know I will be sharing her story with others. I also made a pledge and will now receive the Genocide Prevention Newsletter. I am hoping you still read this and me and my daughter would be honored to receive your help. My daughter has chosen your mother Rena Gani Carasso to do her large report on for her project on remembering the Holocaust those that passed and survived. If there is any information or stories you could share with us so we can do this report on your mother justice could you please send the information to us. Any stories she had shared with you all. I know those are horrible memories but it will help these children understand exactly what your mom and many others went threw. I kow this is an odd request but i have been up for hours trying to find out as much about her and her life but am falling short. I just happened to land on this page and thought id give it a shot. Thank you so much. Thank you for letting my readers know Tanya! I searched Barns and Noble and Books-a-Million and cannot find the Holocaust Survivor Cookbook, where would I buy a copy???? Mark– there is a link in the blog above the recipe, click it and it will take you to the page where you can buy a copy. Thank you for this very moving tribute, Tori. I have suggested that the cookbook be sold by my synagogue as a fundraiser. If that doesn’t happen, I will be purchasing one anyway. Hi Tori…I was skimming through the pictures and noticed you used a sifter to dust on the powdered sugar…SO funny! My mom just rolled those cookies in a bowl of powdered sugar, must have been a half inch thick on top! No wonder we were given strict instructions NOT to breathe in when we took a bite. 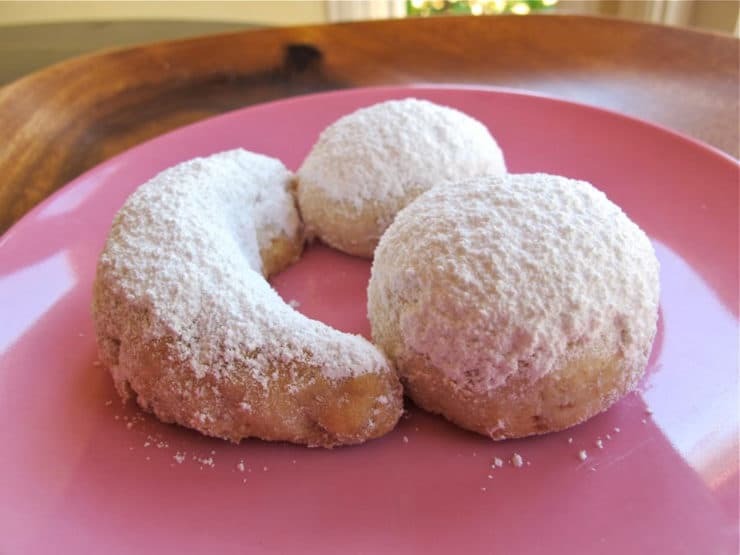 AND yes, the cups my mom to which my mom referred were baking cups with powdered sugar sprinkled on the bottom before she placed the kourabiedes in them. Yummy! 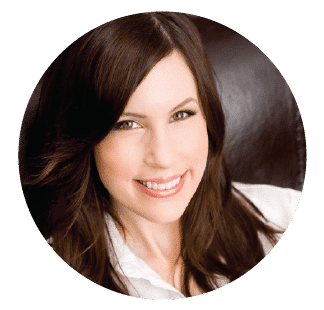 Dear Tori – Thank you so much for including a link to the site that sells the cookbook in your blog. Both my mother and father (both long deceased) were survivors of Auschwitz. They would have loved this cookbook – so I just purchased one in their memory. I love your recipes (and so does my very unkosher family) and hope that you will be publishing your own cookbook soon. I’d love to be one of the first to buy it. Do these taste like a Old fashion Lady Finger? Hi Angel– they’re not like lady fingers, really… more like wedding cookies, if you’ve ever tried those. They’re delicious! Arlyn, I am so sorry to hear about your family connection to this tragedy. The cookbook can be purchased at the following website: http://survivorcookbook.org/. It costs $36 plus $3.99 shipping and handling. This kind of cookies we usually cover while they are warm. The sugar icing tends to stick better on them, as opposed to leaving them to cool down and then sprinkle with icing. Great note Rockblock, that makes sense. I will try that next time! I agree with Rockblock. My recipe from my yiayia from Tripoli is different. It contains no eggs. 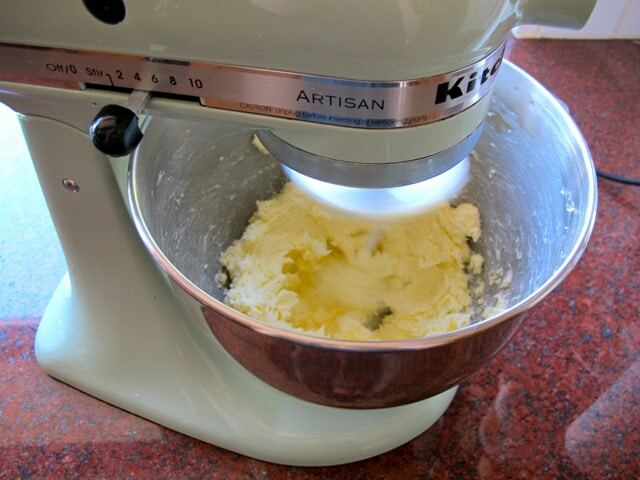 Just 1 pound butter (melted or very soft), a little white sugar (2 T), 1 t vanilla, 5 cups flour. They are much more delicate and better than any of the kourabiedes I have found in Greek bakeries. For the powdered sugar (also called icing sugar), I sift a layer of sugar onto a cool cookie sheet and then lay a warm cookie on each one. The bottom layer of sugar melts to the cookie. Then I sift more powdered sugar over the warm cookies and then when they are cool I transfer them to a tray and sift them once more with powdered sugar. I DO NOT recommend rolling them in sugar. Mine are very delicate, and they would crumble if rolled. Yiayia Pitsa made the best kourabiedes I have ever eaten, and I am glad to have her recipe. I forgot to say add 2 T orange juice. Being of Greek heritage, this was of particular interest to me. Although not Jewish, my Mom has told me many times of the hardships in Greece during the war. The cultures are very close and have ties on many levels, food being one of them. Your recipe sounds very much like mine, and I can’t wait to try it. Thank you for your heartfelt story and for posting it. God bless you and your family. May you always have sweetness in your lives. I had no idea this cookbook existed. What a wonderful tribute to those we’ve lost. These cookies look delicious. Thank you for sharing this story-I have had a wonderful version of this cookie at a local Greek Deli-I think what Rena’s instructions meant as a baking cup-were individual pastel type cupcake liners?? At least that’s how I see them, and buy them at the Greek Deli. Anyways, point is “Never Forget” as we have to look back and remember the past to escape these atrocities in the future. God Bless…. Thank you very much for sharing this story. I remember my Greek relatives putting the individual cookies in little paper cups (like cupcake papers) when they were served. Maybe that’s what is meant by individual baking cups. I am always humbled when I read these stories, the recipe was a lovely addition as well. What a wonderful tribute to innocent lives. Thank goodness the book was compiled. How fortunate for us these recipes were not lost forever. Beautiful posting. Thank you for your sensitivity in honoring and remembering. These are melt-in-your-mouth crazy good.